Frank Capra called her, "The greatest emotional actress the screen has yet known." Yet she was one of its most natural, timeless, and underrated stars. Now Victoria Wilson, gives us the most complete portrait we have yet had, or will have, of this magnificent actresses, seen as the quintessential Brooklyn girl whose family was in fact of old New England stock...her years in New York as dancer and Broadway star...her fraught marriage to Frank Fay, Broadway genius, who influenced a generation of actors and comedians (among them, Jack Benny and Stanwyck herself)...the adoption of a son, embattled from the outset; her partnership with the "unfunny" Marx brother, Zeppo, together creating one of the finest horse breeding farms in the west; her fairytale romance and marriage to the younger Robert Taylor, America's most sought-after male star...Here is the shaping of her career working with many of Hollywood's most important directors: among them, Capra, King Vidor, Cecil B. Demille, Preston Sturges, all set against the times-the Depression, the rise of the unions, the coming of World War II and a fast-evolving coming-of-age motion picture industry. 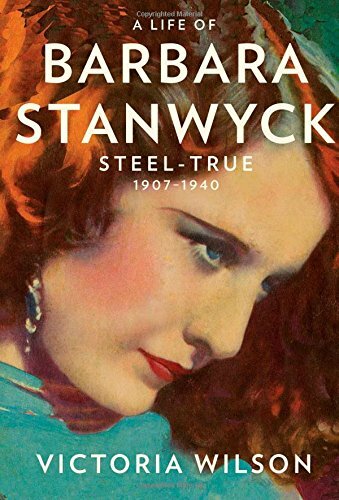 At the heart of the book, Stanwyck herself-her strengths, her fears, her desires-how she made use of the darkness in her soul, keeping it at bay in her private life, transforming herself from shunned outsider into one of Hollywood's-and America's-most revered screen actresses. 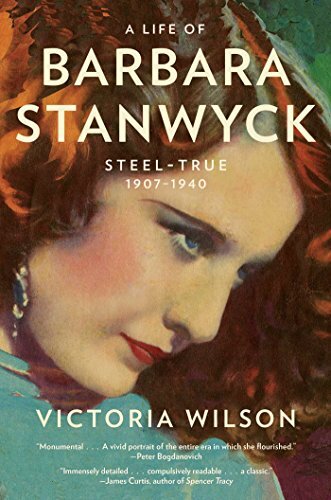 Written with full access to Stanwyck's family, friends, colleagues, and never-before-seen letters, journals and photographs. Victoria Wilson is a vice president and senior editor at Alfred Knopf. She was appointed by President Bill Clinton to the US Commission on Civil Rights and has served on the boards of PEN American Center, the National Board Review of Motion Pictures, the Writing Program of the New School of Social Research, and Poets & Writers.